Enter your invite or promo code on the final step of your account activation when you first sign up. Codes can only be used by new members joining Car Next Door for the first time. When you first sign up you will see a field to enter your invite code, voucher or promo code on the final step of your account activation. If you've come to the join form from a member's link, you won't need to enter a code as your credit will be automatically applied. 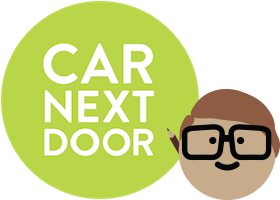 Note: Promo and invite codes are only valid for new users of Car Next Door. If you've already signed up, you won't be able to use a promo code when booking a trip. From time-to-time, we may give current members driving credit to use towards the cost of their next trip. Forgot to enter your promo code? If you completed all the steps to activate your account but forgot to enter your promo code on the last page, contact us and let us know the code you intended to use. If you signed up recently, haven't taken a trip, and provide a valid code, we may be able to add the value of the promo or invite code to your account as driving credit.